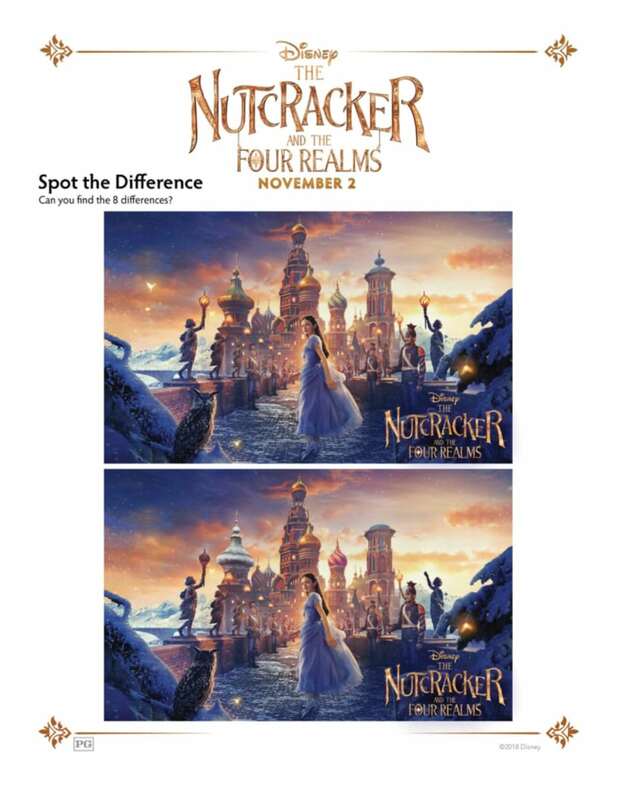 Click HERE to download the free Disney Nutcracker spot the difference activity page. You can print it or you can just save it to your computer. There are eight difference between these two movie images and it’s your job to find them all. Can you do it by yourself or do you need some help? 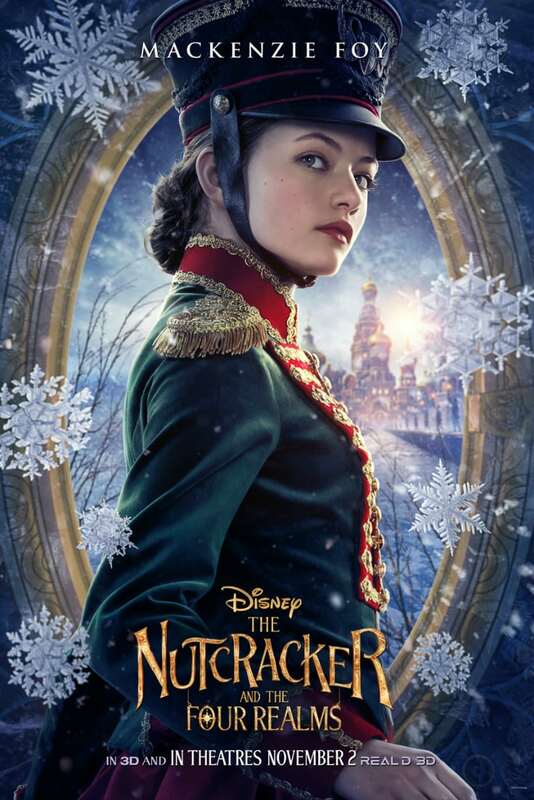 The movie will be in theaters beginning November 2nd, and will be a fun addition to your family’s holiday activities. 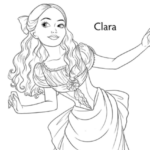 All Clara wants is a key and it is this key that will unlock a box that holds a priceless gift from her late mother. A golden thread is presented to her at godfather’s annual holiday party and it leads her to the coveted key. It promptly disappears and leads her to a strange and mysterious parallel world. It’s there that Clara encounters a soldier, a gang of mice and, also, the regents who preside over three Realms. They are known as Land of Snowflakes, Land of Flowers and Land of Sweets. Clara and Phillip must brave the ominous Fourth Realm, home to the tyrant Mother Ginger, and retrieve Clara’s key. Hopefully, they will return harmony to the unstable world. 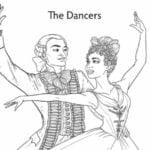 Additionally, check out our other free Nutcracker printables.